Matthew E. White announces the No Future In Our Frontman project with proceeds going to charities in support of voter registration and voter participation. 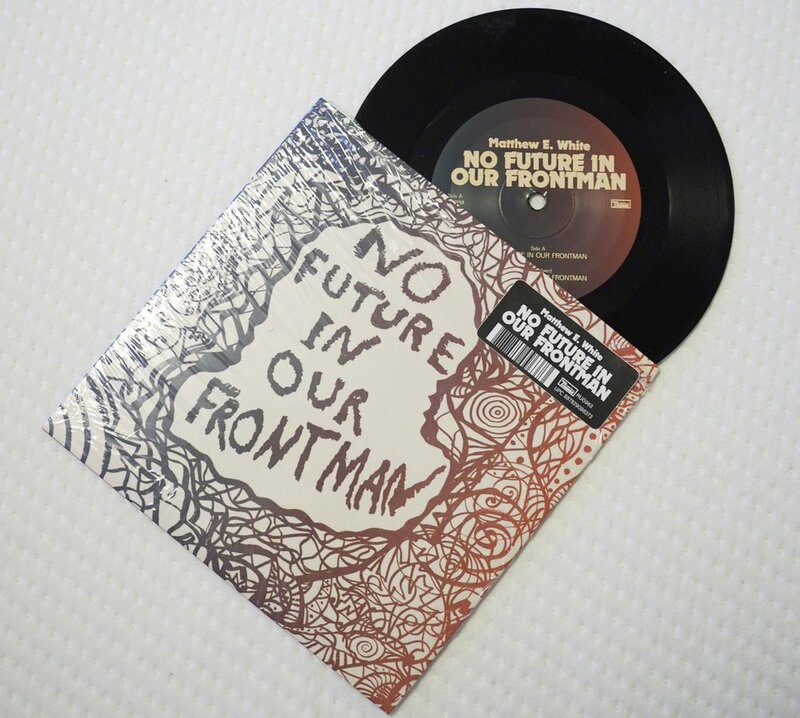 Matthew E. White “No Future In Our Frontman” is available on 7” vinyl, coupled with a b-side instrumental version. Artwork on the 7” & t-shirt is by musician and artist Lonnie Holley. Holley’s sculptures are constructed from found materials in the oldest tradition of African American sculpture. Objects, already imbued with cultural and artistic metaphor, are combined into narrative sculptures that commemorate places, people, and events. His work is now in collections of major museums throughout the country, on permanent display in the United Nations, and been displayed in the White House Rose Garden. The 7” is available to pre-order today and will be out November 2nd. Any t-shirt-only orders will be shipped immediately, but 7” and t-shirt bundles will be shipped on Nov 2nd.